Asian-American Heritage Week is quickly drawing to a close at Iowa State, but students can still find opportunities to participate. There will be a barbecue on Friday night from 5 to 10 p.m. at Brookside Park, including Kabobs and chicken. The event is free. On Saturday night, there will be a cultural night and guest speaker Magdalen Hsu-Li.The guest speaker will talk about issues that Asian American students face. These are just two of the events that have swept through campus, with the goal of raising awareness about Asian culture. Asian American Heritage Week is a time to bring the Asian community together, Eshcol said. 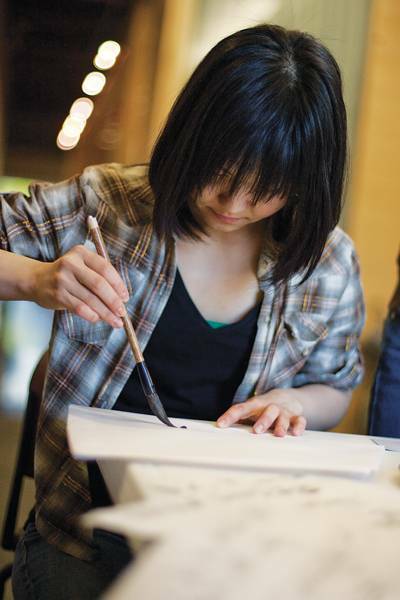 There are a lot of activities to help students understand different Asian cultures. According to the Census, 1.6 percent of the population in Iowa is Asian. Asia encompasses a variety of countries, from Turkey to Japan, Eshcol said. Of the 53 countries in Asia, only a few stand out to people, like China, Japan and India. Asian American Heritage Week is a way to let people know that Asia is much more than the four of five countries and cultures that come to people’s minds when they talk about Asia, Eshcol said. Monday night was Asian Arts night, which featured activities like henna, Arabic calligraphy, Japanese origami and kite making. Asian Arts night helps educate and expose people to different cultural art forms. “Kites are a huge part of the South Asian culture, countries like Pakistan, Afghanistan and India. I grew up making my own kites and flying kites,” Eshcol said. And for some, the event brought back childhood memories. The documentary “A Dream in Doubt” was shown to students on Tuesday. The documentary was created in response to the first hate crime murder following the Sept. 11 attacks against the Sikh community in the United States. There was a discussion about ideas presented in the film after the movie was shown. Other events during the week included a self-defense workshop at Forker Building, which gave students the opportunity to learn Taekwondo, a Korean martial art, and an exhibit of Asian art.